I'm looking forward to cuddling up in soft faux fur throws, enjoying my favorite comfort food, and layering on the cozy sweaters. There's nothing better than enjoying a fire on a fall night, whether in front of a fireplace or from the light of a pumpkin scented candle. It will be many weeks before the weather is cool enough to turn on my fireplace, which is why candle light was a must this year when planning my fall mantel. 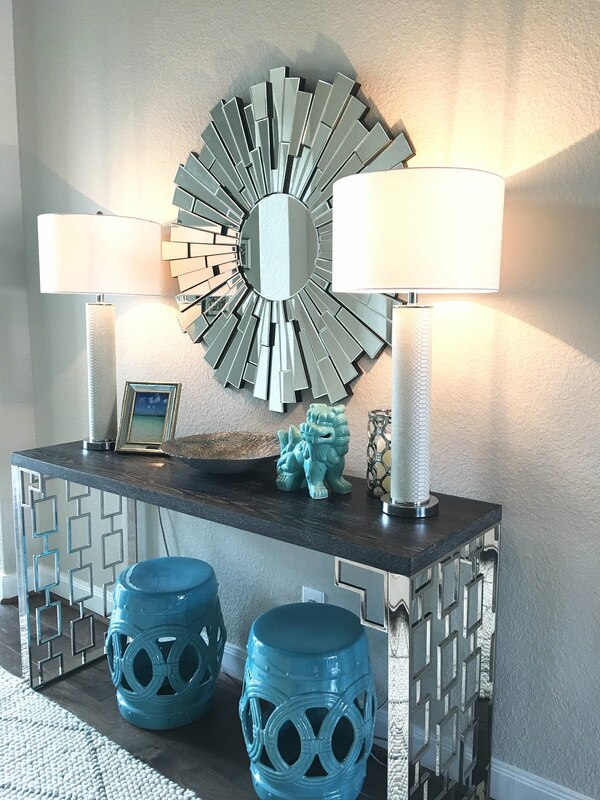 I found these copper mercury glass candle holders at Target this past week and knew they would be perfect for my mantel the minute I spotted them. They fit right in with my current décor and add a touch of fall at the same time. The "Dust to Dust" title will be very fitting when Halloween rolls around! I pilfered a few items from my vase filler to add a natural touch. Cinnamon scented pinecones and natural vase filler in a neutral tone from last year adds a touch of rustic. Linking up this post to these parties! Very pretty! I love the candles and the owl, so perfect for Fall time. You're so creative and detail oriented - i love the touch of the spooky book!! So lovely!! I like the colours, the simple-ness of the display and of course, the terrific mirror over your mantel that goes so well with everything you've added. The fact that nothing is specifically fall themed and yet it creates a fall vibe is a tribute to your decorating talents! The copper mercury glass votive holders and owl will work well in other displays and were a great purchase. Candlelight + Fall = Love! Lovely -- and adore the copper mixed in with the silver touches. Very nicely done! Lovely mantle design -- peaceful and restrained, with gorgeous color. Looks really classic home decor. Thanks for sharing this classic post for all. Jennifer...your so creative...it looks beautiful! Beautiful. I love that horse and the mercury glass owl. Thanks for sharing. new follower, btw. Your house is gorgeous and I enjoyed looking around your blog! Ok, I love the mantel! I can tell right away that we have similar tastes! And I recognize your gorgeous stairwell makeover! Love it! Thanks for stopping by & entering my giveaway!